We do want your car to be cozy while it hibernates away the cold and salty Maine winter months in our climate-controlled, heated, secure facility; but, no, we do not provide Car Snuggies. We get asked that question again and again; and we know that you want the best for your car but 60+ degrees of radiant-heated polished concrete gently warming your car’s underbelly is perfect for our vehicular winter guests. Since we do offer trickle charging, you could think of the battery as a lead-lined plastic encased Snuggie for its electrons, if you squint? Of course, you can provide your own Car Snuggie if you wish. We have nothing against Snuggies in general but we do not provide that service. Now that we’ve cleared that up, you should know that we are still accepting cars for the winter 2012-2013 storage season. If you have not visited here before, please take the less-than-five minutes to see our video on our homepage so you can get a feel for the place. But realize that the video is targeted to the potential member. You do NOT have to be a member here at Portland Motor Club to be able to store your car for the winter or any other time (we have military contractors and service men and women as well as world travelers storing their cars with us for sometimes years at a time!). Members have access to their cars to be able to take them in and out as they wish and to use our facility including our lounge and onsite detailing center Portland Detailing (www.PortlandDetailing.com) but if you want to put your car up for the winter, you can just pay for straight winter storage. We have plans for the number of months that you want to store the car. The monthly rate goes down with length of stay. We expect that we will be pretty darned full this winter so you might want to contact us sooner than later. As you can see from the accompanying photo, we were very busy in a very quiet kind of way last winter! Please call Kal Rogers at Portland Motor Club at 207-775-1770 or email info@portlandmotorclub.com to make a reservation or to get more information. Professional heated winter car storage at the Portland Motor Club in Maine… Sorry, no Car Snuggies! Can one be sleek and brawny at the same time? 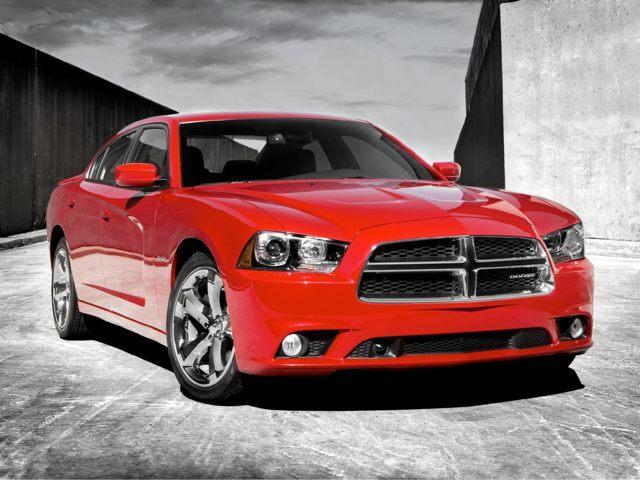 If you're the 2011 Dodge Charger, the answer is a definite "yes"! 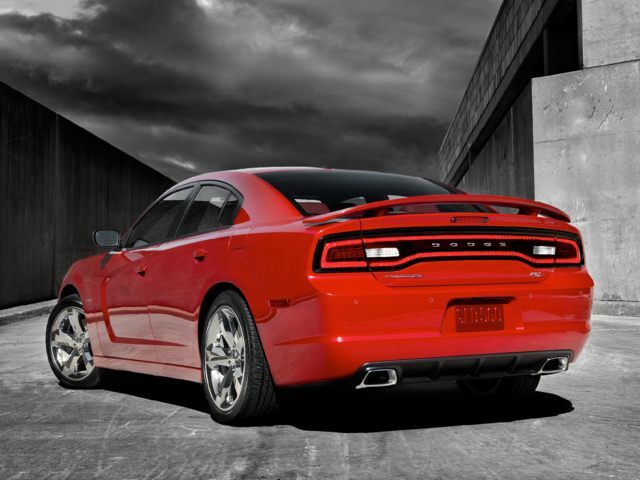 This very positive Maine Sunday Telegram review of the re-styled 2011 Dodge Charger pays homage to its ’60s and ’70s muscle car roots and even mentions the impressive seven early and recent models currently stored and/or living at Portland Motor Club recently featured on Bill Green’s Maine. Fans of “The Dukes of Hazzard” will appreciate this playful review written by Maine Sunday Telegram/Portland Press Herald Automobile Editor (as well as Executive Editor) Scott Wasser. You can see it/touch it/drive it in person at SouthernMaineMotors.com, Bill Waldron’s new Chrysler/Dodge/Jeep dealership which he bought from Jolly John Pulsifer (Jolly John’s Auto City) in the fall of 2010. Sadly, the iconic Jolly John passed away recently unable to enjoy his well-deserved retirement from his impressive auto-mobile/auto-promotion career of many decades. You will see most if not all of the Chargers on site watching video tour of Portland Motor Club on our homepage. Some nice new lines on the rear have a touch of "retro" -- catch 'em if you can! 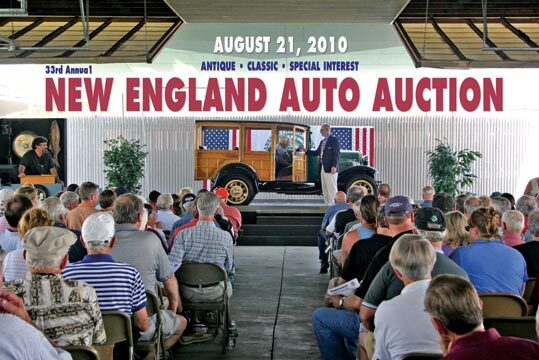 The 2010 edition of the New England Auto Auction will feature a new extended preview period running for three-plus days from August 18 through the morning of the sale. This means that anyone selling a vehicle through the auction will need to get their car up to Owls Head earlier than usual — not great for the last-minuters out there but great for those who want to spend some time selling themselves on buying someone else’s car! As usual, there will be 200+ cars for sale on August 21 covering a lot of automotive ground. The museum will have some of its own stock on hand for sale, as it always does, to help to fund its expansive operation which spans the history of mechanical personal transportation. Many vehicles get donated to the Museum for this purpose which serves as a write-off for the donor and a boon for the organization. Plus there is the fantastic “Barn Fresh” program which assists individuals in selling vehicles directly to the museum’s visitors as well as the auction crowd. Of course, Owls Head gets a slice of the proceeds, but it’s a great way to move a worthy vehicle. You can see the vehicles in the Barn Fresh program which, I believe, go into the auction automatically if they haven’t sold directly through this program by Auction season. Here’s that link: <http://www.ohtm.org/gallery/album683>. Once again, Portland Motor Club will serve as a major sponsor of the auction. It’s our kind of crowd — serious car enthusiasts who know that cars only maintain their value and their condition through proper storage and care. In fact, Motor Club owner Bill Waldron is on the board of the Owls Head Transportation Museum, so it’s a very good fit for both organizations. There is plenty of good information on the Owls Head Auction website including the results from the past ten years! And, of course, the catalog of vehicles going on the block this year is online as well… <http://www.ohtm.org/*NEauction10.html>. 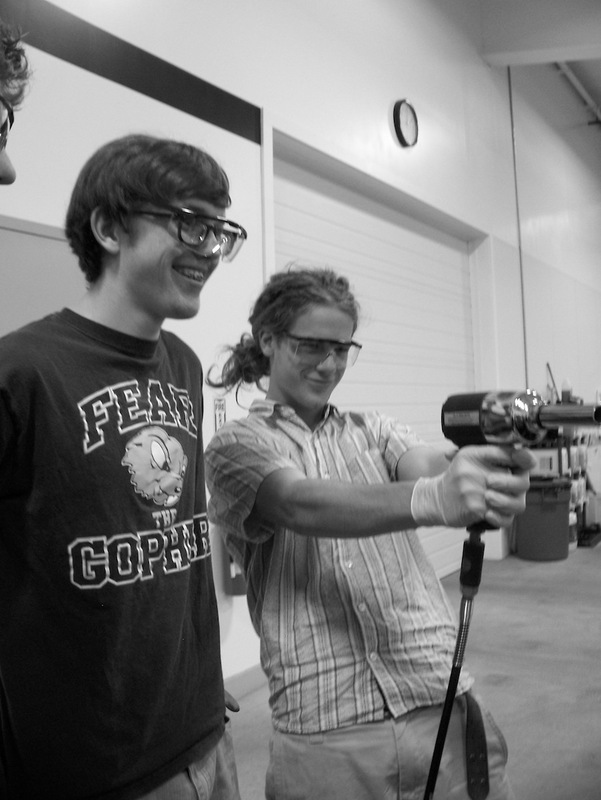 A group of students from the Merriconeag Waldorf High School in Freeport, Maine chose what must have been one of the coolest electives ever at a Waldorf school — “Introduction to Auto Mechanics” taught by Portland Motor Club owner and muscle car enthusiast (and Merriconeag parent) Bill Waldron. The class ran eight weeks and the eight students were transported weekly back and forth from the New Gloucester, Maine high school campus to state-of-the-art Portland Motor Club facility on Presumpscot Street in Portland. The curriculum covered a lot of ground from the engine components and basic workings of the motor including the fuel system and spark plugs to wheel, tire and brake care. Students got practical experience with changing the oil, working on the brakes and even learning how to detail (professionally clean) a car’s exterior and interior. Topics related to safety and roadside emergency were also covered. When the students are saying things like, “class was too short” and “it’s fun to participate”, you know you’re on the right, well, road. 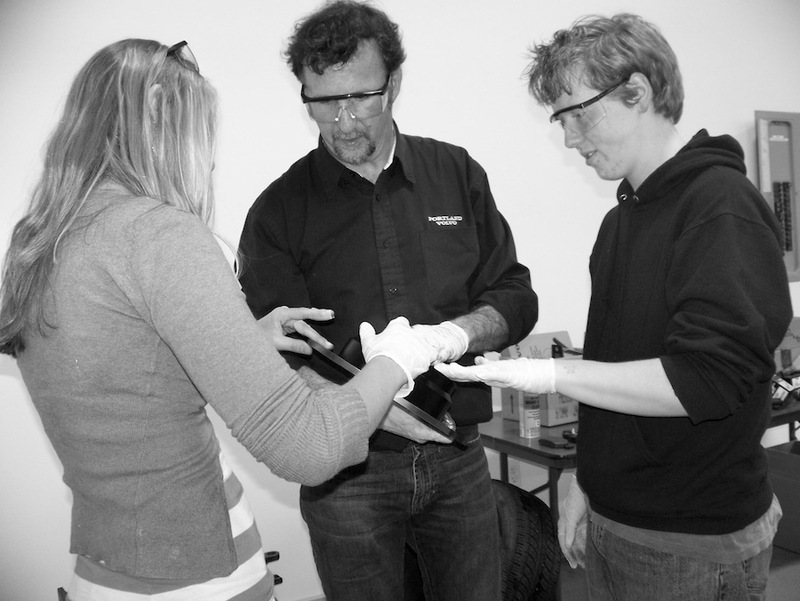 They liked the hands-on aspect of the class, taking things apart and putting them back together, and learning useful things that will come in handy some day (on the side of the road). If anything students would like to have had more time in class and even suggested that they’d like to “take an engine apart and put it together”. That may be a whole curriculum unto itself! One of the most practical items learned in class? “Don’t stand under the oil filter while you unscrew it!” Good advice for us all — literally and metaphorically. 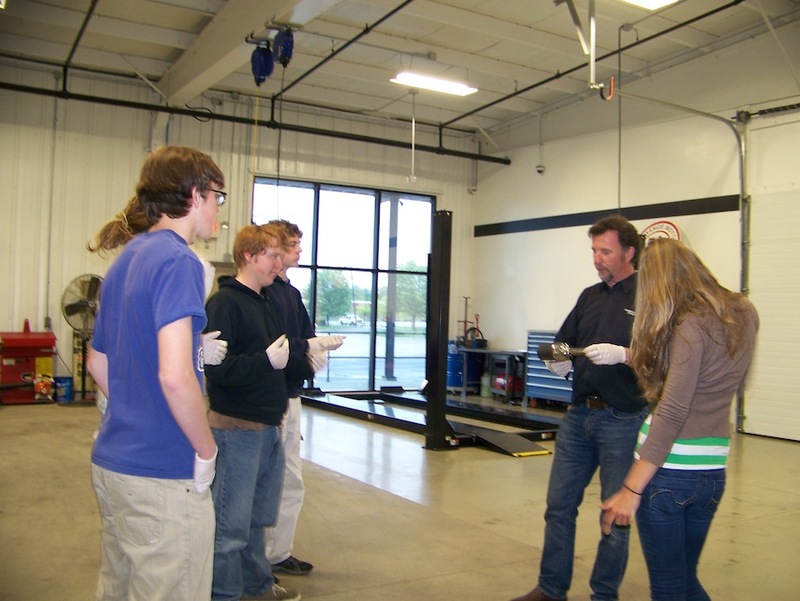 Portland Motor Club was very pleased to be able to produce this pilot program for the Merriconeag High School. Special thanks to Yearbook Photographer Margie Ciolfi, a 9th grader in the class of 2013, who took these (and more) great photos. Getting “Social” with Portland Motor Club… Facebook & Twitter & YouTube now up! Portland Motor Club was designed to be a fairly social place with a members’ lounge, meeting room, computers w/ WI-FI and HD-TV, but now we’re virtually social, too. You can become a fan of our FACEBOOK by clicking on the FaceBook link just to your left below “Contact Us” on the navigation strip — it’s right there — go ahead… just click it!!! Or you can find it by searching under groups for “Portland Motor Club” while you’re on FaceBook another time. You can quip clever and useful things to us via TWITTER (www.Twitter.com/mainecarstorage). We are using @mainecarstorage because using our name was too long and who is going to search for “mtr” instead of “motor” and we’re more about cars and storage than motors and clubs, on some level. Our business name is great for our business but different thinking needed to go into our Twitter strategy. Who ever thought we’d be discussing things such as “Twitter strategy” — but then, who ever thought we’d be discussing it on something called a “blog”? Below is the link to our first (of many?) YouTube video. Why it’s our own Jason Michel demonstrating how easy it is to install and use both an easy on/off battery switch and trickle charger! Great solutions for short-term and/or long-term battery care when the car is off the road. We would certainly appreciate your comments and links and sharing this information with your virtual friends and fellow car enthusiasts. We have more video coming including a walk-around the Labor Day Car Show last fall. And please put Monday, September 6, 2010 on your calendar for this year’s Toys-for-Tots Labor Day Car Cruise-In & Show at Portland Motor Club. We’re very pleased to be able to host it again at our amazing facility and can only hope that we would be granted another beautiful day on which to hold it. Providing a marina-like approach, some dedicated vehicle storage facilities offer car owners the freedom to come and go as they like while enjoying peace of mind that their vehicles are protected from the elements, damage and worse While it is certainly possible for a private owner to create the ideal environment for protecting the condition and value of a collectible car, it requires a serious investment into designing and building a sufficient facility that will take into account many factors such as temperature, humidity, security, access and cost. Usually some sort of compromise results that either consciously or inadvertently jeopardizes the condition, value or safety of the vehicle. Seasonal storage usually means that the vehicle is unavailable for up to six months at a time while often cold temperatures, humidity, critters and other factors can do their worst on your four-wheeled friend. Professional collector car storage can be the affordable solution that addresses all of the storage concerns of a car collector. By garaging with a company that has designed a facility that specifically addresses all the specific security, environmental and safety concerns of car storage, car owners gain the peace of mind that comes from knowing that their prized possession is getting the care that it truly deserves. For the auto enthusiast, it is heart breaking to hear about the seemingly annual garage collapse or burned-down chicken barn housing irreplaceable cars. Imagine the sense of security that comes from knowing that one’s vehicular pride and joy is locked away in a fortified facility featuring smoke and heat detection, a sprinkler system, and continuous visual monitoring and video recording. It’s a bit like car storage heaven! 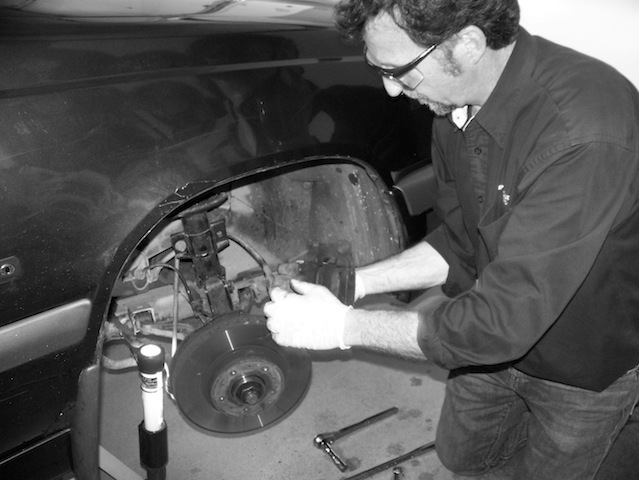 For certain vehicles, these are not seasonal issues: proper year-round care and housing is vital to protecting the condition and value of cars that have significant worth. Even if the owner lives at a distance from the storage facility, proper care and storage trumps convenience. Oftentimes such a vehicle is only used or shown occasionally anyway. For those who do live relatively close to a year-round storage facility, they can consider such a place a marina-like service where their car receives secure storage, care and maintenance, and it is prepared and ready to go when they are, any time of year. Car owners might also like to know that their batteries are tended to regularly, that someone is watching out for leaking fluids and other problems, and that while the car is in storage, its condition can be maintained via reconditioning and restoration services. Also, concerns about the safe and proper transportation of vehicles to and from such a facility can be handled by professional covered transportation services that certain facilities may offer. 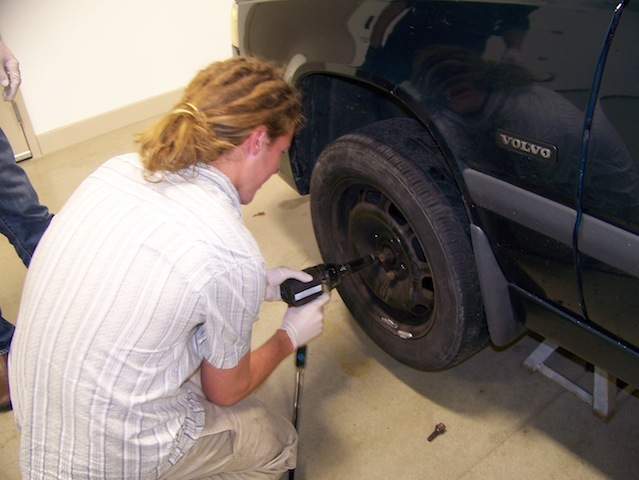 A professional car storage facility can also cater to custom care concerns and requests such as specialized mechanical work or upholstery replacement. Some facilities even offer a members’ lounge where one can talk shop with fellow enthusiasts and can enjoy the camaraderie of gathering with other collectors, or they take a meeting with a business associate. In some cases, they might have access to the facility for special business or social occasions. 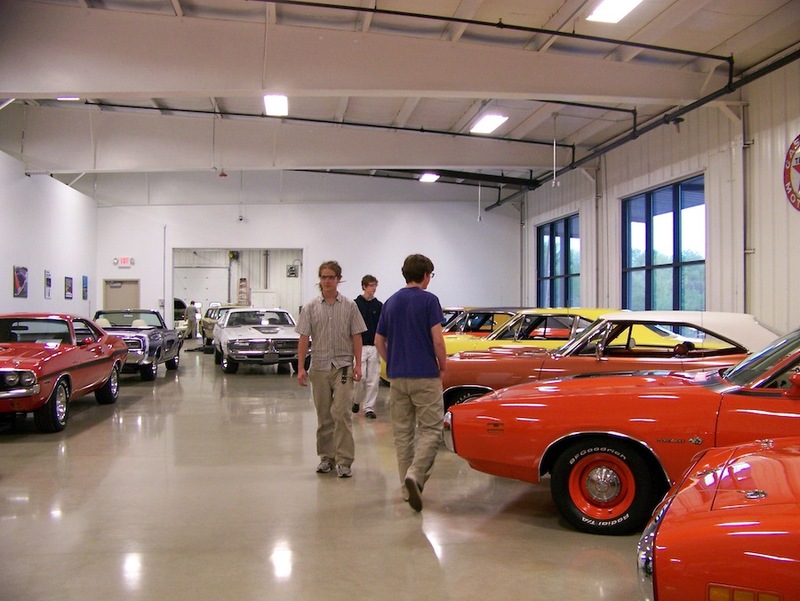 In many cases, other collector car events such as car club meetings, educational events, rallies, shows and even auctions can take place on the premises. For a relatively reasonable annual fee, collectible and special vehicles can get the home they deserve and their owners can get the protection they really want and need for their valued investment. It’s nice to know that there are a few places out there that are providing car storage done right.